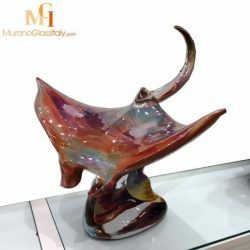 Dino Rosin is one of the greatest Murano glass artists of our time. 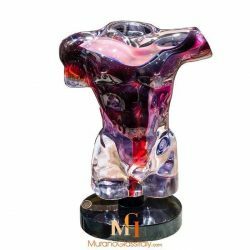 He belongs to the last generation of Murano glass masters, who were trained in the ancient artisan tradition. Dino Rosin learnt the secret of production of calcedonia, one of the oldest and rarest types of glass. Art pieces made in calcedonia are among the most treasured holdings of museums. Through the beautiful color and striations of the calcedonia glass Dino is able to make common objects and symbols such as “violin” and “saxophone” as well as abstract ideas and subjects such as “vergogna” (shame) come to life and fill our soul. The glass artworks of Studio Rosin are truly unique masterpieces and highly sought after by collectors worldwide. 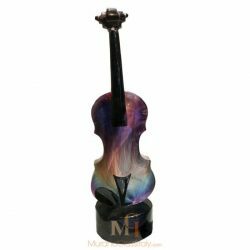 It is with great pride that ArtWeShop presents the marvelous Calcedonia Glass Sculptures Collection of Studio Rosin.